With the new version of the Sharp Practice rules coming out I have dug out my unfinished buildings and decided to get them done!! 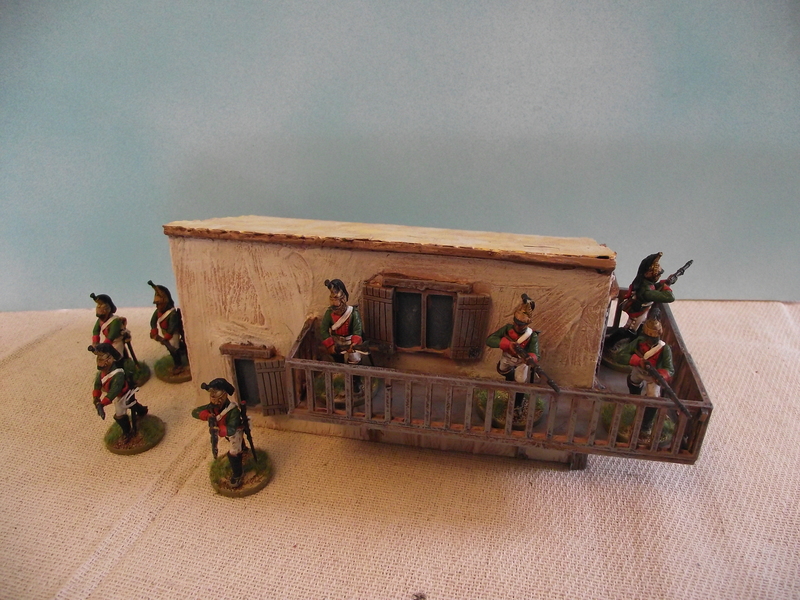 These are Warbases modular range – 28mm MDF that are basically a shell you build doors, windows and balconies etc. onto. 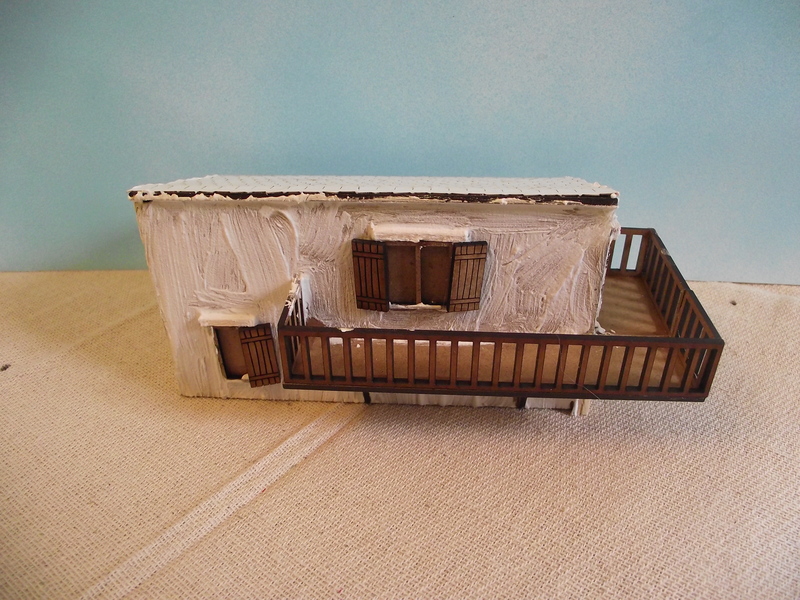 The basic shell – 4 walls and a flat roof to make a Spanish style dwelling. 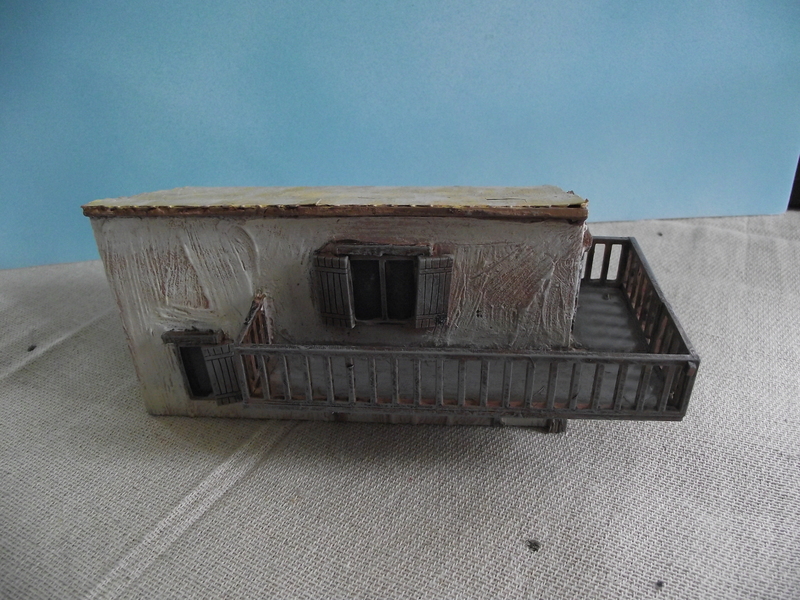 And this is it with windows, doors and a balcony fitted and added lentils etc with matchsticks- I have then painted it with polyfilla to create a texture to the walls. 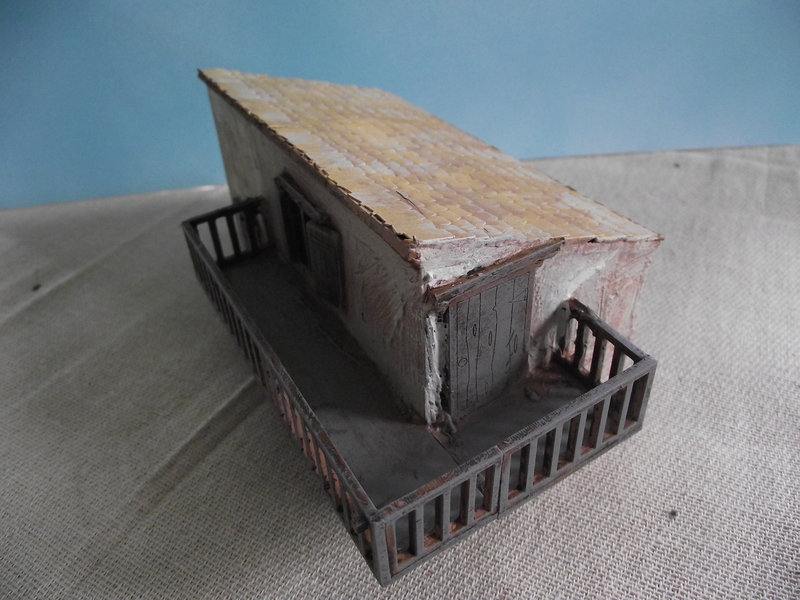 The roof tiles are cut out and stuck down – theses tles are just sheets of tiles you cant purchase from Warbases. 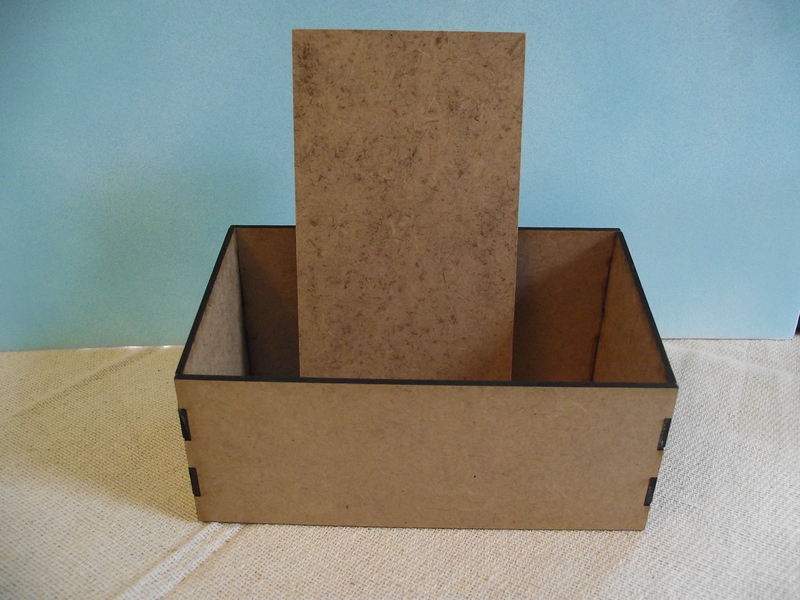 And then paint the whole lot with an ordinary brown wall paint – this a light terracotta. 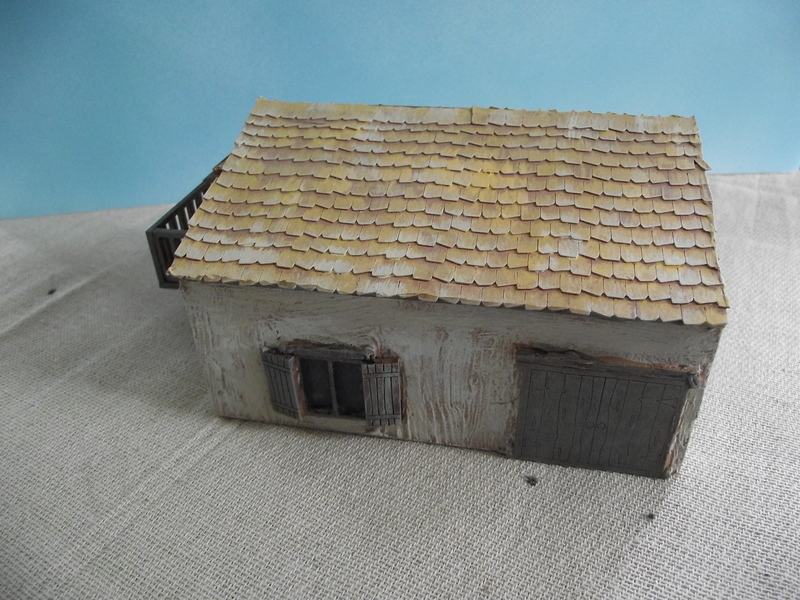 And then dry brush with a few different white tones on the walls – a light wood brown on the wood with a dry brush of grey – and terracotta shades on the tiles – and voila – done!!! It doesn’t take long!! 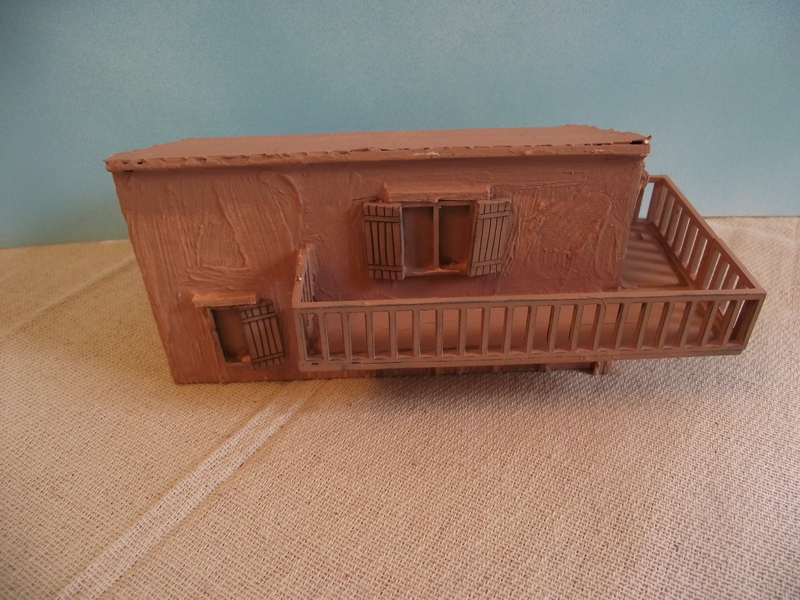 I’ve got another 9 of various sizes and shapes to finish to make my Spanish village – I’ll add some photos of the whole thing when done – aiming to have a Sharp Practice game in a couple of weeks! !